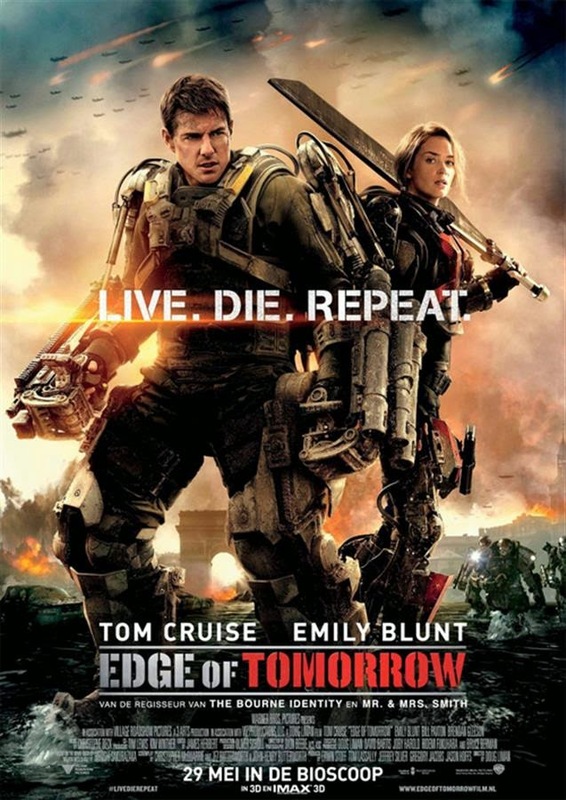 Edge of Tomorrow uses a familiar concept used in films like Groundhog Day, Source Code and TV Show Day Break (2006). But uses it in a fresh way so that it never gets boring. It doesn't really give you depth in how and why things are happening, which is fine because the action and the eye candy is phenomenal. But the one who really is selling this film to you is Tom Cruise. I always found that he is an actor that is very underrated. He rarely lets down and when he is good he is truly good. But yet he does not get the recognition. Well, I hope that will change because he makes you believe all the ridiculous events. He makes his character as human as possible. It is one of the few movies where you actually get to see a character change and grow. And with all the focus on the action and extravaganza that is saying something. Emily Blunt also is believable as the though soldier and also shows her talent to give more meat to her character in minimal ways. There is a lot of humour in this film and that helps tremendously. It's a fun blockbuster movie from start till finish. I loved every second of it. And to tell you the truth I found it to be a lot better than X-Men: Days of Future Past.